Job Vacancy: Cook and Catering Assistant, to also cover the bar. 35-40 hours per week. Please send a CV to Reception. The Centre boasts eight indoor rinks of world-class standard, after a major refurbishment in 2003 which included the installation of a laser-levelled green as well as glare-free lighting. 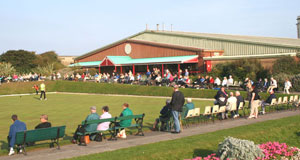 There is full access for disabled people to all facilities at the Scarborough Bowls Centre. A comprehensive range of reasonably priced snacks, full meals and refreshments can be enjoyed from 9.30am daily. on the two tables on the balcony. 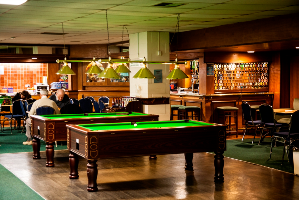 A fully licensed bar also serves a wide range of beers, wines and spirits. 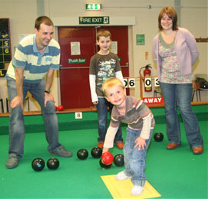 children’s parties, funeral gatherings etc, as well as club meetings. 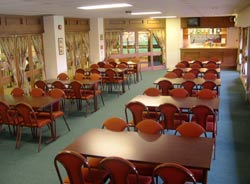 It is also ideal for craft fairs, trade exhibitions and off-site corporate meetings and training courses.